It's time for another edition of Wendy's Favorite Things! This month's Great Eight features some great snacks, a fabulous family-friendly cookbook, a fantastic healthy on-the-go breakfast...and a whole lot more! (1) Biena Snacks Roasted Chickpeas. If you think that chickpeas are just for hummus...think again! 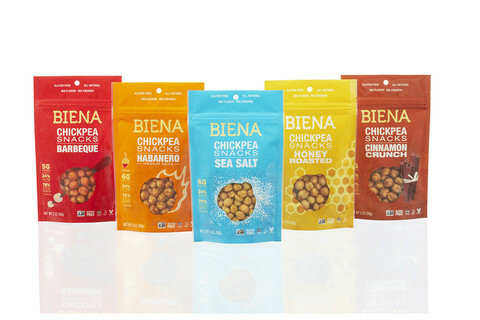 Biena Snacks offers a line of crunchy roasted chickpeas that come in both savory and sweet flavors. This addictive snack is supremely crunchy, and it's healthy too! Each serving average 5 grams of filling protein, 25% of your daily fiber requirements, and contains about 75% less fat than peanuts. 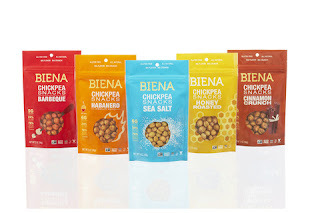 Biena Snacks come in the following great flavors: Sea Salt, Habanero, Honey Roasted, Barbecue, Rockin' Ranch, and Cinnamon Crunch. All flavors make a perfect afternoon snack, but they can also be sprinkled on salads or used to top yogurt! My favorite flavors are the simple Sea Salt and the Honey Roasted. The honey roasted reminds me a bit of honey roasted peanuts, but crispier. Biena Snacks can be found nationwide at Target, and other major retailers. (2) Evol Foods Scramble Cups. If you're looking for a healthy, portable breakfast option to enjoy at the office, look no further than Evol's Scramble Cups. Each frozen cup contains eggs and select breakfast ingredients in a portion-controlled cup. When you're ready to eat breakfast, simply heat in the microwave and eat! Flavors include Chicken Apple Sausage and Egg White with Potato and Cheese. There's even a pair of veg-friendly options. My personal favorite flavor is the Egg, Basil, Pesto, Potato, and Cheese Cup. It's made with cage-free eggs, and it's packed with 10 grams of protein. Best of all, it keeps me feeling full all morning long! I sometimes like to pack a couple of tortillas to make myself some hearty breakfast tacos. 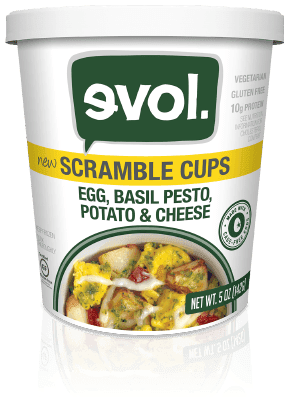 Evol Foods' Scramble Cups can be found in the freezer section of most major U.S. grocery stores. (3) Momma B's Homestyle Mac & Cheese. 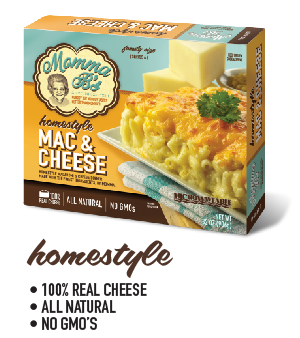 If you love mac and cheese as much as I do, you're going to flip for Momma B's Homestyle Mac & Cheese! This frozen mac and cheese tastes like homemade -- but you can enjoy it in about 5 minutes. It microwaves perfectly, and it's some of the very best mac and cheese that I've ever tasted. Talk about instant, comforting gratification! Momma B's also offers Spicy Pepper Jack, Truffle, and Gluten-Free Mac & Cheese flavors. If mac and cheese isn't your thing, the company also makes a delicious Chicken Alfredo and a homey Chicken and Biscuit Pie. My Texas readers can purchase Momma B's products in the frozen aisle of their local Central Market location. Momma B's products can also be found at grocery stores throughout the rest of the country via their convenient Store Locator. (4) Studmuffin Desserts Love Buckets. Let's face it, ladies...we all need a little Studmuffin in our lives! New York City-based Studmuffin Desserts, I mean. This online bakery offers a wide range of sweet treats -- including signature cookies! I especially love their cute Love Buckets, which contain a variety of delicious bite-size artisan treats. 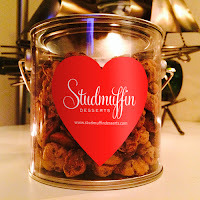 I recently tried a trio of Studmuffin's Love Buckets that included Sinners & Saints Cookies (chocolate chip), Bleecker Street Brittle, and dude-friendly Lemon Crisp Cookies. All of the treats were buttery and sinfully good...but the Sinners & Saints Cookies knocked my socks off! Bite-sized, crispy, and buttery...with a ton of mini chips...these cookies are a real winner. To order your sweetie a Love Bucket, simply visit Studmuffin Desserts' online store. They can also be purchased via Neiman Marcus, Saks Fifth Avenue, and Bergdorf Goodman. (6) Stonewall Kitchen Wild Maine Blueberry Jam. I am a huge fan of Stonewall Kitchen's amazing line of convenient condiments and baking mixes. 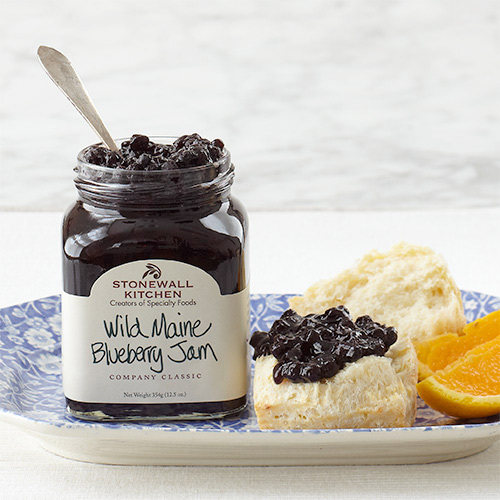 I recently tried their delicious lemon-infused Wild Maine Blueberry Jam, and it's now a staple in my kitchen. With it's sweetly tart flavor and tons of tiny wild Maine blueberries added for additional flavor and texture, it's a real winner! This flavorful jam is perfect on buttered, freshly baked biscuits for a relaxing weekend breakfast. It also makes and amazing fruit topping for pancakes. Here's my secret use: I love to add this Wild Maine Blueberry Jam to a bowl of slightly softened vanilla ice cream for an easy, special dessert! To find this and other Stonewall Kitchen products, simply visit their handy online Store Locator. (7) The Six O'Clock Scramble Meal Planner Cookbook. If you're like me, you want to eat healthier...but you're just exactly sure where to start. Life gets busy, and we can be pulled in a million directions at once. That means we can run short on time and inspiration at the end of the work day. 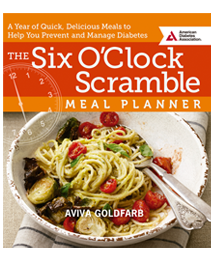 Author Aviva Goldfarb's The Six O'Clock Scramble Meal Planner cookbook explains that the key to making healthy meals is simple: Plan easy, healthy meals in advance. Then, grocery shop once a week using a shopping list. The Six O’Clock Scramble Meal Planner offers 150+ delicious quick-cook diabetes-friendly recipes that are ready to serve in 30 minutes or less. Even if no one in your household is diabetic, these healthy recipes can also help prevent diabetes. The recipes are organized by season to provide variety throughout the year, and they are built on natural, fresh ingredients. Two recipes that caught my eye that I can't wait to try are Meatball and Orzo Soup and Fresh Corn, Tomato, and Avocado Salad with Shrimp. This healthy cooking resource is one that I know I will refer to again and again for healthy and quick dinner recipes. (8) Family Brand Hawaiian Style Scampi Marinade. It's no seecret that I love big-flavor foods, and this robust scampi marinade is one of the best I've tried in ages. Delicious Family Brand Hawaiian Style Scampi Marinade is an all-natural marinade made with olive oil, white wine, garlic, and lemon juice. This convenient bottled marinade is perfect for making shrimp scampi in a flash. In the time it takes to cook a pot of rice, you can whip up a pan of perfectly seasoned shrimp scampi for dinner. Less than 30 minutes to a gourmet-quality meal! If you're a garlic lover, this marinade is perfect for you...each bottle has a generous helping of chopped garlic. I also love to pour this marinade over chicken pieces in the morning and let them hang out in the fridge all day. Then, when I get home? I grill the chicken and serve with lemon wedges on the side. Talk about good! To order Family Brand Hawaiian Style Scampi Marinade, visit the Family Brand online store. Disclosure: The makers of the products included in this month's roundup provided me with product samples to facilitate inclusion. 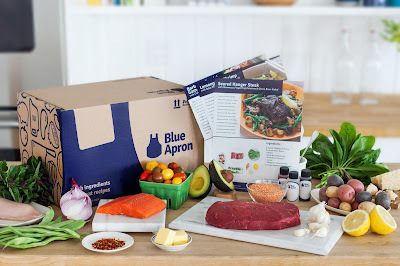 I only recommend products to my readers that I have personally used in my kitchen and enjoyed. All opinions expressed are solely my own.